Think you know everything about Israel? Looking for an extraordinarily special book to give to someone who has been to Israel or is interested in the unusual aspects of the country that rarely, if ever, get press coverage? 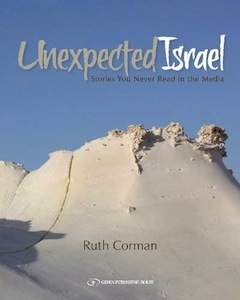 The answer to both of those questions is Unexpected Israel: Stories You Never Read in the Media (Gefen Publishing House, 2016) by Ruth Corman. Corman is a British photojournalist and art consultant who splits her time between London and Jerusalem. Her first publication was with photographer David Rubinger, and his book Israel Through My Lens: Sixty Years as a Photojournalist, which she co-authored and edited. With her latest book, with 84 vignettes, she writes, “I decided to try a side of Israel that rarely receives attention – the creative, amusing, quirky and moving aspects of the country.” She used the services of Alon Galili, a guide, and John Harlow, a consultant. Many of her tales have appeared in the Jerusalem Post. Her husband, Charles Corman, was the book’s editor. Corman also “encountered some unforgettable individuals.” Her entries begin with Tsegue-Mariam, a 93-year-old Ethiopian nun who has written original music and plays the piano. It ends with “A Happy Ending: Rescue in the Skies,” the story of a young child who was on an El Al flight with her. The child was heading to London to undergo a liver transplant, and Corman helped raise from the passengers the money the girl needed. Corman did not keep in touch with the child, who must be over 30 by now. In between are stories about typical and atypical Israeli aspects – the camel, falafel, floor cleaning (sponga), garinim (sunflower seeds), folk dancing, Machaneh Yehudah (where this author leads weekly walks in English), sabras (the fruit), standing in line, sheshbesh (backgammon), the Temple Mount sifting project (which originated with a friend of this author, Prof. Gaby Barkay), volunteerism and more. For those who know – or want to know – Israel, it is a delightful read that you won’t be able to put down. There is humor, there is wit, great research and special photographs. If you happen to be in Jerusalem on May 15, the official book launch of Unexpected Israel will take place at Menachem Begin Heritage Centre. 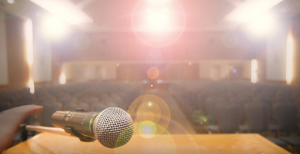 Guests will include Daniel Taub, former ambassador to the Court of St. James, and Steve Linde, editor-in-chief of the Jerusalem Post. Corman will present stories and images from the book. RSVP to [email protected] or via gefenpublishing.com (or 02 538 0247).